The Portico is one of the best known and most visible elements of Montpelier. Built in ca. 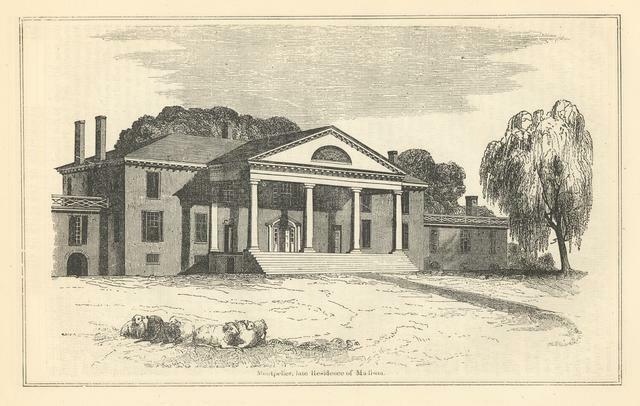 1797 to help unify and embellish the façade of the newly expanded house, the Portico would become one of Montpelier's most widely recognized features. Interestingly, the Portico, with its Tuscan columns, also appears to be the first classically correct, two-story domestic portico built in Virginia. A ca. 1836 engraving of Montpelier.